An East Coast baseball card maker says its Carlsbad, Calif.-based top competition has been caught stealing. 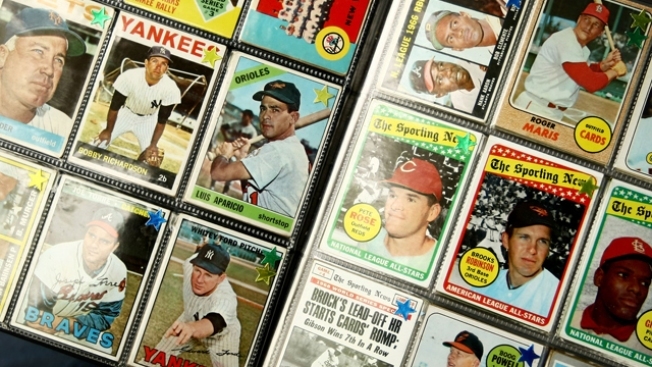 The Topps Co. filed a lawsuit Tuesday in federal court in Manhattan. It argues that baseball cards published this year by The Upper Deck and some cards about to be published should be thrown out. Manhattan-based Topps said Upper Deck's 2009 cards copy the 1975 Topps cards in their layout and design. Topps saldo said that some cards that Upper Deck is about to sell imitate the 1971 and 1977 Topps cards. An Upper Deck said it "questions the validity of this claim" but didn't detail its objections. "We strongly disagree with the allegations and look forward to issuing a formal response," the company said in a statement. In its lawsuit, Topps described how it believes Upper Deck mimicked its design with just a few variations. It said similarities between each company's cards included the use of a colorful, divided two-tone border, the player's photograph superimposed on a thin white border, the player's autograph toward the bottom of the picture and the use of an image of a baseball on a bottom corner of the card. Topps said its competitor's cards will confuse or deceive customers because each of the Upper Deck designs are nearly identical to the Topps cards. Topps asked that Upper Deck be ordered to destroy the cards and turn over any profits, along with other unspecified monetary damages.